Can't afford bail? Atlantic Bail Bonding Can Help! With more than 30 years in business, we know how to help when you need it most. Call us 24/7! Have you been arrested and need help posting cash bail? Make Atlantic Bail Bonding your number one choice for bail bonds in Florida. We are available 24 hours a day, seven days a week, 365 days a year for you and your loved ones. Call 1-866-588-2245 to speak to a licensed bail bondsman about all types of bail bonds serving you in West Palm Beach, Ft Lauderdale, South Miami and the Florida Keys. Whether you or a loved one has been arrested, you don’t have to worry about the cost of cash bail. By choosing a licensed, professional bail bondsman, you can rest easy. Our bail agents work quickly to process your information so you can get out of jail and back to your family, you work, and your life. For details on the bail process, visit our Bail Bonds page. With Atlantic Bail Bonding, you can trust an experienced bail bondsman to protect your privacy. Our goal is to get you or your loved one out of jail; we won’t judge or try to take advantage of your situation. We have been in this business for more than 30 years, and local lawyers recommend us to their clients, so you know you’ll be taken care of here at Atlantic Bail Bonding. Don’t stay in jail because you can’t afford cash bail. For 24-hour bail bonds in Miami-Dade County or Palm Beach County, Florida, call 1-866-588-2245 right away! Driving under the influence of alcohol, a controlled substance, or a chemical substance constitutes a DUI. Your specific charges will vary depending on many factors, primarily your blood/breath alcohol content (BAC). If your BAC is .08 to .14, you will be facing $500 to $1,000 fine. For a BAC above .14, you’re looking at a $1,000 to $2,000 fine. You may also receive jail time, community service, mandatory treatment, or other punishments. DUI charges are heavily prosecuted in Florida, and can count as a misdemeanor or a felony depending on the circumstances. A second or third offense will carry a much more serious charge. Minors can also be charged with a DUI if their BAC is as little as .02. After your arrest, a bail commissioner will consider your flight risk, danger to others, past offenses, and other factors to determine your cash bail amount. This is the price you must pay to leave jail before your court date, which could be weeks down the line. DUI cash bail amounts can be quite expensive, so let us help take the burden off your shoulders. Our local, trusted bail bond agents have served this area of Florida for more than 30 years. We know the statutes and the anxiety you are dealing with. Call Atlantic Bail Bonding for DUI bail bonds in Miami-Dade County and Palm Beach County, FL today at 1-866-588-2245. Because aggravated assault is assault with a deadly weapon or intent to commit a felony, it is charged as a third degree felony. This is a serious offense with at least a $1,000 bail. However, many factors can easily increase the trouble you’re in. For example, if a firearm is discharged during the aggravated assault, you may incur a 20-year prison sentence. Because aggravated assault is such a serious charge, it has a higher price of bail than many other crimes. Plus, you’re looking as various court fees, the price of an attorney, and other expenses. If you can’t afford bail on your own, call Atlantic Bail Bonding. For a slight fraction of the cash bail price, our licensed bail bondsmen can help you get out of jail. We will work hard to get you out of jail as quickly as possible. Almost every crime is eligible for bail, and we know the laws and statutes backwards and forwards. After all, we have been serving the local community for more than 30 years. During that time, we have consistently delivered quality service and customer care to countless people just like you. Plus, we stay open 24 hours a day, 7 days week so you always have a way to get out of jail. There’s no need to waste time behind bars when you could be working to fight your case or be with family. We want to help reduce the financial hardship an arrest can cause. Call 1-866-588-2245 for aggravated assault bail bonds from a reliable bail bondsman near you! We even offer various finance plans so you don’t have to stress any more about your arrest. The state of Florida has a historically high number of people addicted to drugs, so drug crimes are vigorously prosecuted. Most will get you a felony charge, which can cost you up to $10,000 in fines and years in prison. 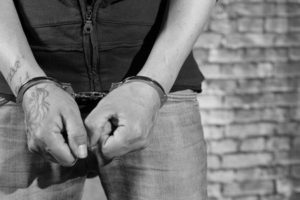 The fines for drug possession charges can be very expensive, and your cash bail may be too expensive to come up with quickly. Let Atlantic Bail Bonding get you or your loved one out of jail fast with a drug possession bail bond. Our experienced, trusted bail agents are available 24 hours a day, seven days a week. We also offer finance plans to help you make easy payments. Give us a call at 1-866-588-2245 for drug possession bail bonds.